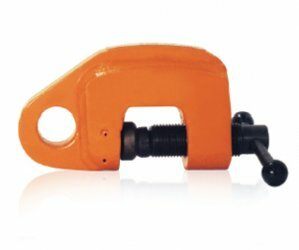 Eliminate expensive pad eyes with the Model PC...a light "pull clamp" used for pulling and aligning structural members and fabricated sections in the construction and maintenance for ship building and other industries. These clamps are versatile and have a wide jaw opening. 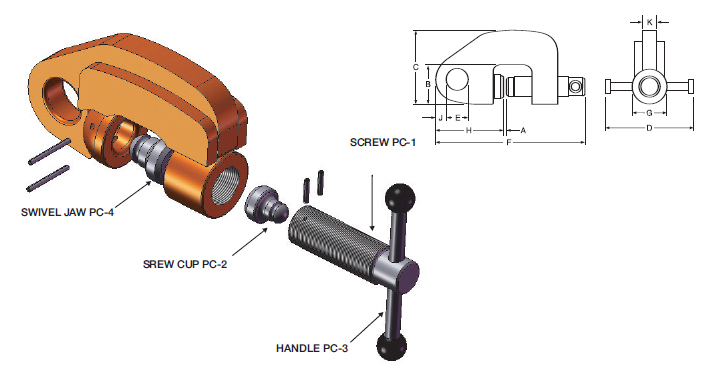 They are secured to the load by tightening the screw and have a rotating cam jaw grip on the screw and clamp body.